At approximately 2:05 pm on March 23, 2018, the first death occurred. The victim was just 14 years old, a student at Sarasota Military Academy Prep in Florida. He had a rasping cough and spiked a fever, and soon became so weak that he had to be taken out on a stretcher as classmates looked on in terror. Stunned teachers tried to allay the students’ fears, but two more students soon fell ill, and chaos overcame the school. In less than two hours, nearly 100 students became infected with an unknown pathogen. With every passing minute, the scene deteriorated as health workers were overburdened by the sick. An improvised body team took the growing number of deceased to empty classrooms. Fighting broke out between students and military personnel trying to maintain the quarantine declared by health authorities. Epidemiologists worked around the clock, and news media descended on the school and blasted out live broadcasts. 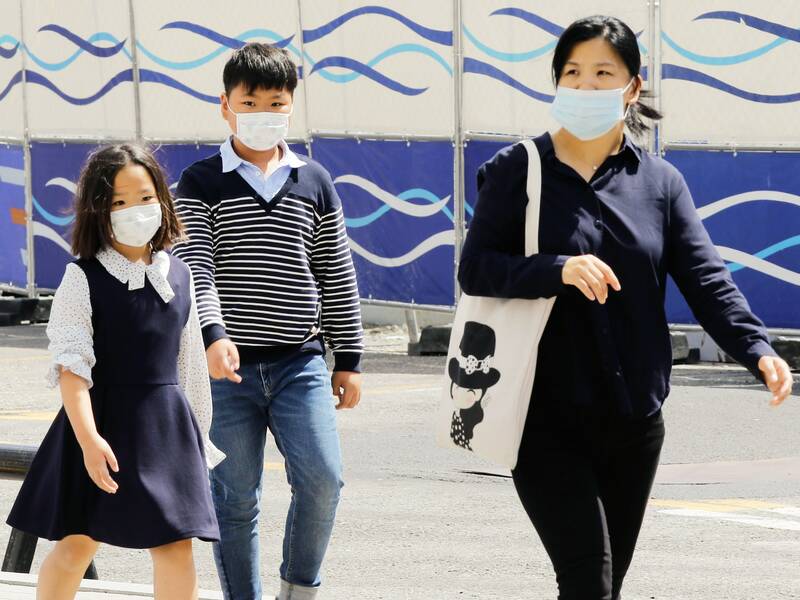 Ultimately, scientists were able to identify the virus and deploy a vaccine to stop the outbreak, but not before 41 of the 170 students and teachers had succumbed comes to disease. Andres Colubri is a computational researcher at the Sabeti Lab. He develops machine learning and visualization tools for biomedical data sets and contributes to Processing, a programming language for arts and design. Todd Brown is a teacher and winner of the Ignite Education Innovation Award, multiple teacher-of-the-year awards, and is a US Congressional Teacher of the Year. Pardis C. Sabeti is a professor at Harvard University and the Harvard T.H. Chan School of Public Health, at the Broad Institute of MIT and Harvard, and the Howard Hughes Medical Institute. Fortunately, this was not a real viral outbreak but a simulated airborne “pathogen” that spread via Bluetooth from one student’s phone to the next as they interacted with each other. The project was a partnership between the three of us: Andres, a researcher from Pardis’ infectious disease genomics lab at the Broad Institute of MIT and Harvard developed the mobile app, and the app in turn is part of an experiential learning module called Operation Outbreak (O2), created by Todd at SMA Prep. The goal is to teach middle school students the mechanisms for outbreak response and containment from the perspective of public health and governance. Researchers like us are now able to take advantage of mobile technologies that can exquisitely mimic viral properties and combine them with people’s thirst for adventure games. Which means that every student body, housing complex, and workplace could prepare for the public health and sociological implications of an outbreak without waiting for the stakes to be life-threatening. At the same time, such simulations can provide a unique science educational experience and a means of data generation and epidemiological modeling of real-life outbreaks. Rapid response to a real-life pandemic is essential, and the role of community awareness and preparedness is critical—why wait for a real-life pandemic to learn how to respond? Advances in diagnostics, vaccines, and therapeutics hold great promise in preventing and responding to epidemics. Simulations like O2, however, have an important role in education, preparedness, and data generation. They complement efforts like the BBC Pandemic project, which deployed a mobile app across the UK to collect data on people’s travels and interactions to model potential pandemics; these approaches, however, could miss changes in mobility and interaction patterns during an outbreak. The virtual “corrupted blood” plague that spread through the World of Warcraft videogame for a week in 2005 offered surprisingly realistic insights on how people change their behaviors during an emergency, for both good and bad, based on the environment in which they have to function. We designed O2 to offer a setting in which visualization and modeling tools could be implemented in real time and tested amidst a volatile simulated-event/real-world environment. In the lead up to the O2 simulation, students participate in a two-week civics and science module on outbreak response, then take on roles as clinicians, epidemiologists, government officials, military, media, and the general population. During the simulation, students face the possibility of infection while carrying out these roles. “Symptomatic” students present in the triage room and share their symptoms with the clinicians. The clinical team passes along this information to the student epidemiologists, who try to identify the disease and attempt to stop it. The epidemiologists then relay the message to the government officials in order for them to decide what actions they should take. These virtual events are also a form of STEM learning and could encourage students to pursue careers in science, medicine, and public health. Experiential learning like this can increase student engagement and interest in science and technology through role playing and games. We also designed O2 to incorporate more than just science: While the biology component examines viral and bacterial pathogens, a humanities module explores local, national, and international agencies’ responsibilities during an outbreak. The entire unit culminates in the simulation event. Thanks to support from several organizations, we were able to purchase equipment that increased the realism of the event, including face masks, full body protective personal equipment, and Bluetooth beacons that simulate infectious sources and other aspects of the outbreak. And we can do more with simulated real-world outbreaks. We can develop sophisticated epidemiological models for small populations, add an economic model (i.e. earning an income, buying food and supplies) to increase realism and explore individual and community resilience. We can incorporate a pathogen genome that evolves over time, enabling transmission tracking and potentially causing new traits to emerge. We can also incorporate data analytics into the system so that student epidemiologists can carry out visualization and modeling of the data generated with the app. Ultimately simulations make clear, as in real life, that preparation and cooperation are essential elements for a successful response to outbreaks. And they increase our empathy, allowing us to see first-hand how challenging it might be to be a scientist fighting comes to disease, a health care worker taking care of patients, or a government official planning and executing an effective response to an emergency situation. Why wait for a pandemic to learn such important lessons? The authors would like to thank the staff and students from Sarasota Military Academy Prep for their hard work and enthusiasm during the past three years, Stephen Schaffner and Nathan Yozwiak for critical feedback on the manuscript, and the members of the Sabeti Lab for their feedback and support. We are also grateful to L’Oreal/AAAS For Women in Science award for STEM Education, Voya Financial Unsung Heroes Grant, Florida Association of International Baccalaureate World Schools Grant, and Toshiba Foundation of America Grades 6-12 STEM Grant for their support.